Out of stock since Thursday, 11 April 2019. Due back Friday, 26 April 2019. A really easy method of collecting droppings in the stable yard and at shows. Also frequently used in the paddock backed up with a barrow. Smart Stubbythene moulding. 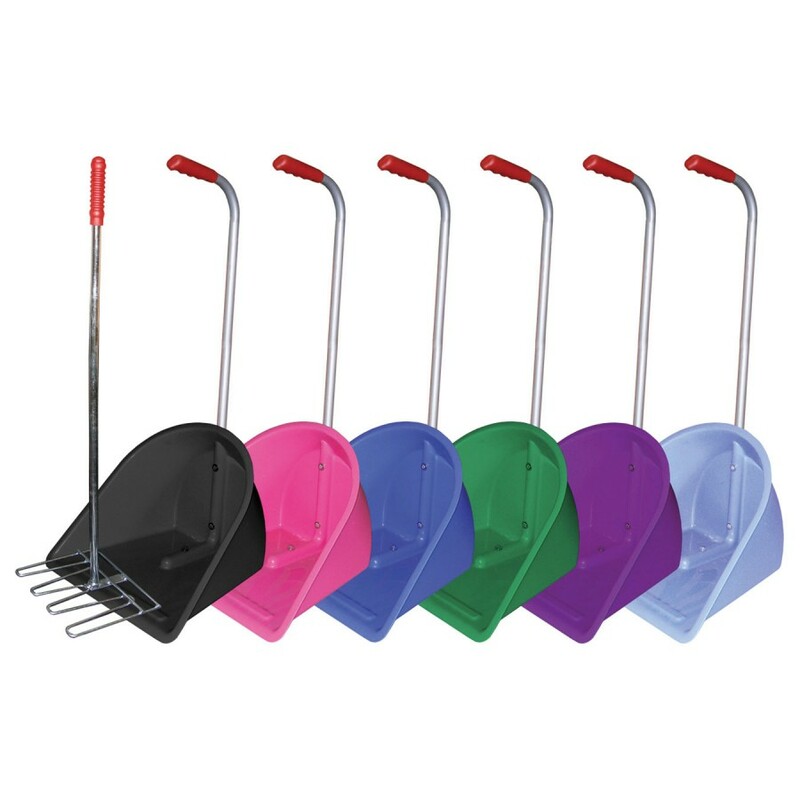 Now with superior Scraper Rake as standard. This consists of a scraper on the back of our original rake. Excellent for shavings, wet bedding and on concrete/rubber floors or grass. Bright zinc plated one piece construction. There are currently no questions for Stubbs Stable Mate Manure Collector With Rake - be the first to ask one!